Oh I would so love to be going (back I think) to Alexandria. p.s. I think the original Temple of Suleiman is near Aden, but I've got a little more research to do with that. I hope to put Gobleki Tepe into place too. i did a tentative line, shown on the map above connecting the mediolanon at Bratislava to Ankyra (99% sure of that connection) and the extended line near Gobleki which is possible. I've been having an exhaustion break. This place is very difficult in terms of black filthy energy,Mind controlled people and the social Matrix and we're in the the tricky process of cleansing it as best we can. This is especially hard on my Heart friends: I've been stalked etc before and know how to handle myself. One of them, an ex biker, made a throat slitting gesture as he walked past me last week and I just rolled my eyes. I think that could even be the last of them. My Friends here are still having a very rough time , although Finny gets a week of school next week-all the schools have power substations next to them and are wified, and Daddy Ex is seemingly now Ex Human as well as ex partner. I've been tracking the implications of the Grid as well as working out a few more lines of thought. On 6 June there was the death of ex All Black Jerry Collins-JC-died in the Herault, near Narbonne, on the A9. I've been honing my RV skills: that location is unusual. As far as I can tell the sea contains a portal (which drains negative energy). Other look arounds: Gobleki tepe has a lovely pinkish aura. The centre of the Crimea (not the pyramids) has a very deep spiralling vortex which seems to be a bone of contention for various people. There is a group in the Pyrenean mountains, quite safe and shielded, who are dancing light. I also think recent events in Tunisia, and Lyons are related to Grid stuff (everything is I suppose) as an attack on the Europe field. Now.. how to put this/? 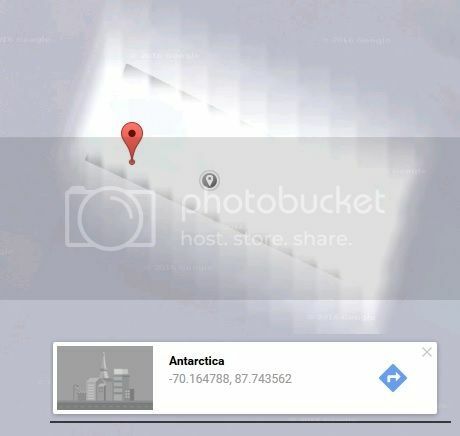 One of the locales locally seems to signal events or Intent by changing imagery placed there, whether that is deliberate or Matrix controlled is moot. Two recent images are two old postcards: one of the Eiffel Tower, one of a French cockerel, side by side. (as well an RAF bomber plane close by). 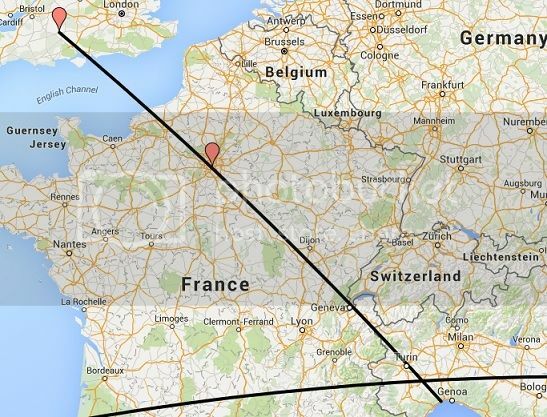 Is something planned for Paris in the near future? Intent could forestall that if so. sending you support and good wishes K, I know you live in a dark place, but only the brave and knowledgeable survive in such places as you have. Touching C/C only the once in many many years as I did last year was enough for me. I tip my hat in your direction, you are much braver than I will ever be. You're work is important to me, never forget that. I'm always listening, your whispers never go unheard. Things are much clearer in my mind thanks to all the work you've done-and your courage in putting it out in public. For instance that Click with the 6'5" woman I met in the library in Oz... I knew there was something different about her at the time but it took years to make sense(according to the Starseed she read my mind at the time, and I think we made an agreement). I'm told I have a couple of implants and truthfully I'm very blocked in some ways. Art imitating life or something. No mention of murder attempts or other equally pleasant stuff, but interesting nonetheless. 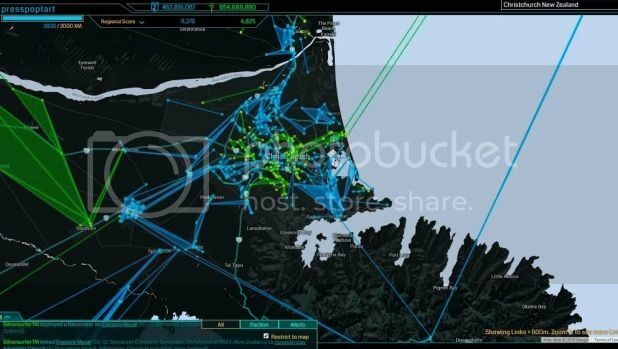 In the game Ingress, players "capture" real-world landmarks with online "hacks". It's Tuesday afternoon in a quiet suburban Christchurch park. Two small boys throw themselves down a slide, their blonde hair billowing as they race to the bottom, arms flailing Kermit fashion. Saphire MacManus looks up from her phone while rocking a toddler in a pram. It's an everyday scene but the world around you is not always what it seems. The mother of three is secretly at war. Looking at Europa and the unusual spate of EQs recorded there by Suspicious Observers on Nov I. Posted on Gloop today by an Australian. "CSIRO has been urgently requested to send the RV Investigator, an oceanographic research vessel off the east coast of New Zealand to re-map a specific spot on the ocean floor. They're looking for any changes since the last mapping several years ago. Anything at all. Basically, the speculation I'm hearing is that CERN might have produced a particular of exotic matter called Neutronium that immediately plunged towards the Earth's core. 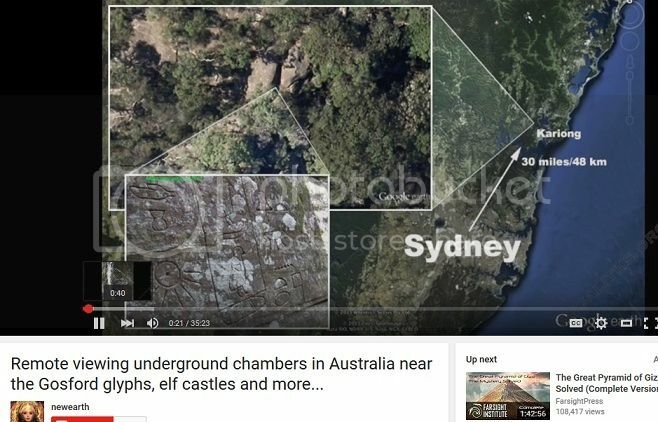 What they're hoping is that the particle exited the Earth at the antipode, probably with a lot of force, and they're looking for evidence of that. What they're afraid of is that it settled at the core of the planet."" Apparently this took place on Friday 13-I haven't got sound ere at the library and Gloop is, well, Gloop so this may be a little off. ALERT: "CERN EXPLOSION Accident as NUCLEAR FIRE as UFO Monitors" - CERN Scientist Details. @KMRIA below is a video of the fountain that they show, one of them doing the bases video should have checked that out to see what it actually was. It's in French, but you can still see this is what it is. A very recent addition to the local "art" scene featuring a Skull, as usual. Corner of London and Oxford Street, both important places in the British Grid. It depicts the Great Pyramid, which is exactly this shade of translucent emerald green when I tune in. P, if you have the opportunity, ask the narwhal if they have any connection with the ones we know as unicorns. Unicorns now live on another world from us, but a world that is reachable via several 'star-gates'. Thank you for that P's. People look to the stars and skies because the want to look Up To Heaven, where they think they belong. Yet they are quite unaware of what is under their feet, in the depth of the earth, and what lives in the oceans, which are virtually unknown. Done literally overnight in time for Christmas Eve, the image is a little unclear (old $100 digital camera): it shows red balloons, jelly fish,what look like honeycomb hexagons, and... wow, what a surprise! a skull! Oceanic anomaly off the coast of eastern Australia. two days ago. 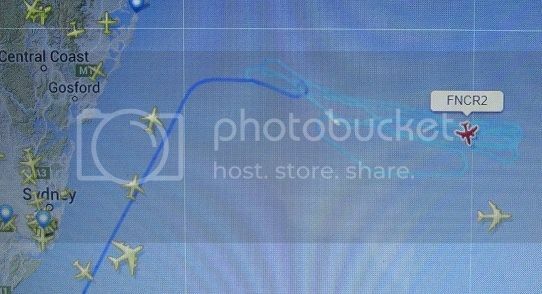 Flightradar24 recorded two planes, one a Lear jet, travelling 200 metres apart (apparently regulations dicate 1000m) in a search pattern at 7000 m over a couple of days (at least) for several hours. Near Kariong on the 33 meridian. Oddly the shape in the sea, to me at least, looks somwhat like a humanoid figure. I always want to see what's in the shadows so I hope you don't mind I've lightened it. "Martin-de-Viviès, is the only settlement of the French Southern and Antarctic Lands territory of the Amsterdam and St Paul islands in the southern Indian Ocean. It lies on the north coast of Amsterdam Island and houses about 20 scientists and staff.Wikipedia"
Rectangle and illuminated! but the surrounding area for me is white out. Deliberately obscured? Ta very much deekin. I tried to lighten that image last night on my junky old laptop (now held together with wire and sticky tape-I'm amazed it's still working). This place... what can I say that I haven't said already? I'd really love, one day, to sit down with the folk on Chani, over a bottle of whiskey and let loose on how bizarre it's been. Thanks for putting that pic up KMRIA...as for that Whisky...will you be at the Nexus conference this year ? According to the angels we've pretty much finished up here and will get out soon. I used to be very sceptical about angels... until one day, waiting at a bus stop, a very ordinary rock came rattling out from under the seat. Someone would have had to throw it from the other side of the road with a lot of force and I would have heard the bang as it hit the fence at the back. No one in sight, No bang from the (wooden) fence at the back of the stop. Here's a google earth image of the island you mentioned. The striations that can be seen in underwater images come from ship sonic radar detaling, which augments the more general sateliite imagery, as I understand it. The odd patterns are the ship zig zagging in its course. I have to wonder why certain areas are examined like this, sometimes. This image from the video below might explain the Lear jet activity, which is ongoing, on a previous post . The recent video Lucifer's Piano Leyline tracks SE to Cogoleto. The harbour in Genoa is 14 kilometers to the east. 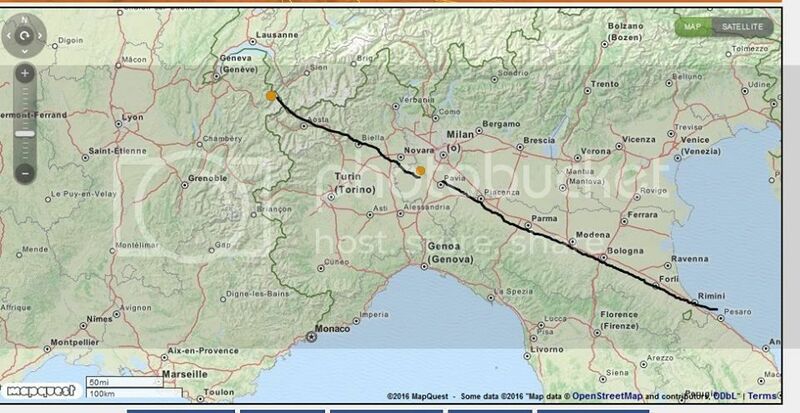 The line does go through Castello di Govone in Italy and the Compact Muon Solenoid at Point 5. I can't track it any more accurately as my Marble program won't function now. Would anyone else care to have a try? In light of the Cern connection, and the fact is goes somewhere into Africa, in the Sudan I think that coould be interesting. Thisngs are getting a little strange® here: I was talking to someone who knows about most of this on Sunday. They told me they'd known of a psychic a while ago, who Saw; humanoid figures coming out of the sea at Brighton and over running Christchurch. Them "Well I know of him but"
Paint me purple and knock me down with an ostrich feather!